Metal Samples’ remote telemetry system obtains real-time corrosion monitoring data via the Internet from anywhere in the world. The system features communications via satellite to a secure Web Monitor data server. With this powerful web-based back end, you can bring the data to your desk no matter where the site is located. 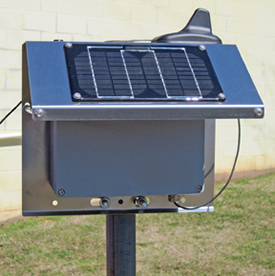 The built-in solar panel powers the Base Station, allowing for use where no local power is available. Using its internal battery and charge control circuit, the unit functions in the ‘Monitor & Sleep’ mode and can operate unattended for many years. This 4-input system allows data from up to four corrosion monitoring sites to be transmitted. The system will transmit a daily reading of each monitoring point. The web server will maintain history for each site, and allows for review of the data and calculation of corrosion rates from various, user-selectable time periods. Once the telemetry system is in place, just log in to the provided website to view your data. Above: Sample data as viewed on the Internet from a corrosion probe connected to the telemetry system. Data can be exported to multiple formats. 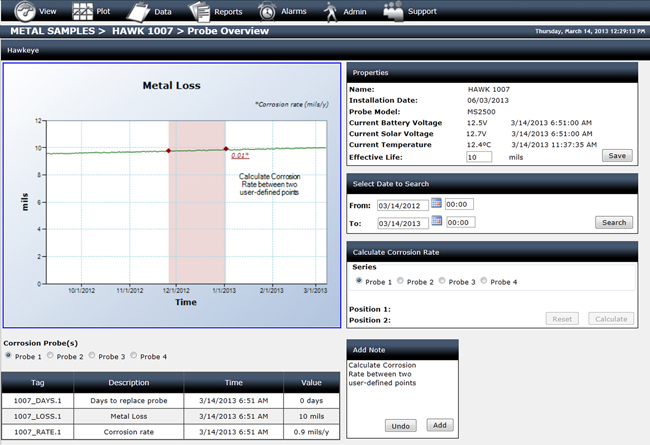 Graphs of corrosion data can be viewed from the web site or can be copied into Excel for more detailed analysis. 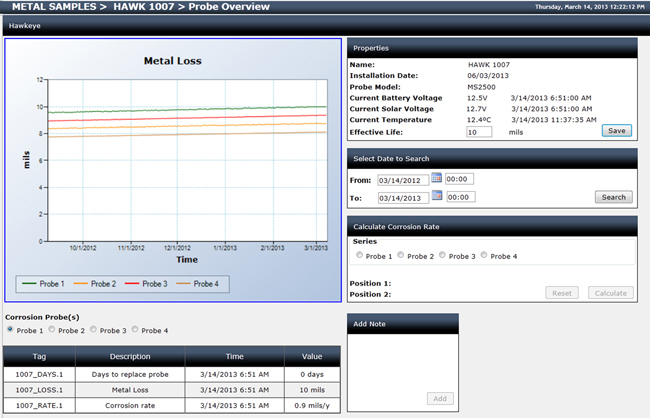 Above: Points on the graph can be selected to calculate the corrosion rate and annotations can be added to the plot. Call for special applications or configurations.